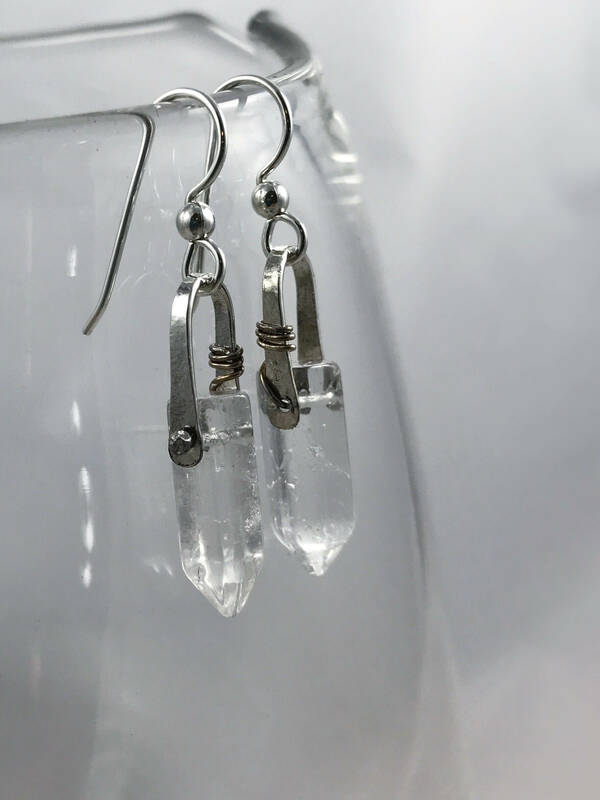 Hammered sterling silver, torch fired sterling silver rivets and hand faceted polished quartz crystal points make for a modern, fun and elegant pair of earrings. Dressed up or worn casual, they'll look awesome with almost anything. These earrings are made to order, your pair will be created just for you. Because these are natural quartz crystals, please expect very slight variations. Some of the crystals have inclusions (as seen in the photo examples), some are water clear. Each crystal is unique but they are well matched in size, shape and faceting, and will remain true and accurate to the design shown in the photos. 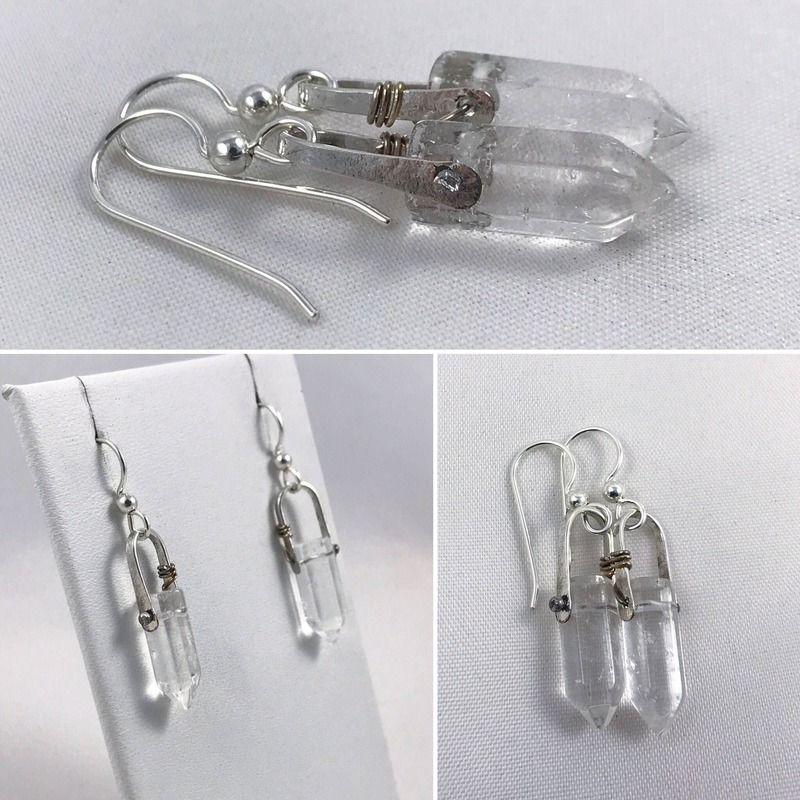 -Genuine polished, faceted quartz crystal points, each unique but well matched, points measure 17-18mm (just under 3/4") length and 6mm (1/4") width. -Earrings are an average total length of 40-41mm (1 5/8") from the top of the earring hook to the bottom of the crystal. 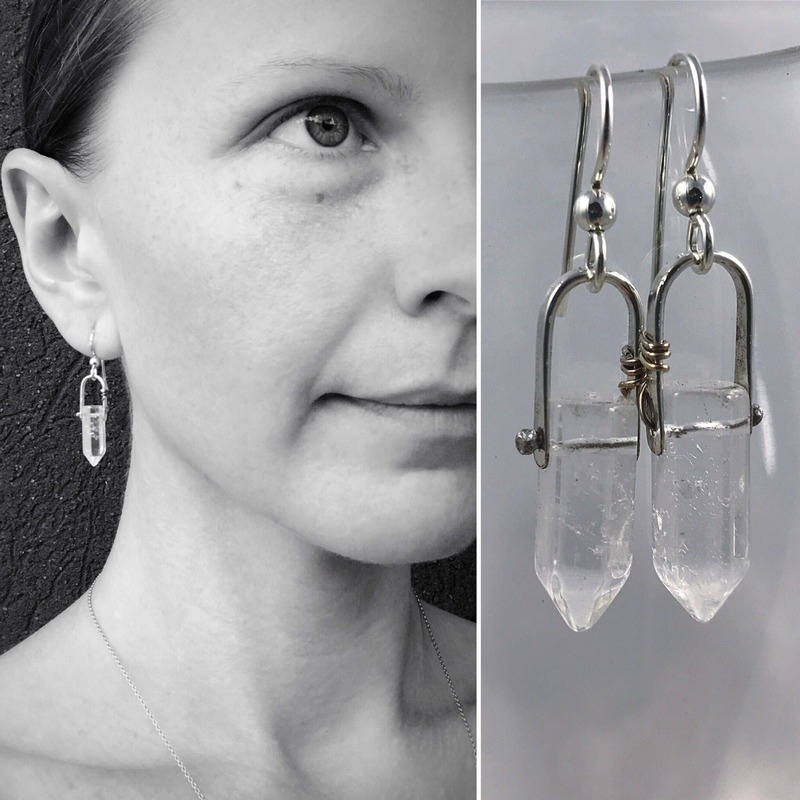 -Drop length from the connecting point at bottom of earring hook to bottom of crystal is an average of 25-26mm (about 1"). -Earring width is an average of 7-8mm (just over 1/4") at the widest part of the sterling harness. -Please allow for slight variances in measurements as these are natural stones that vary slightly in size. 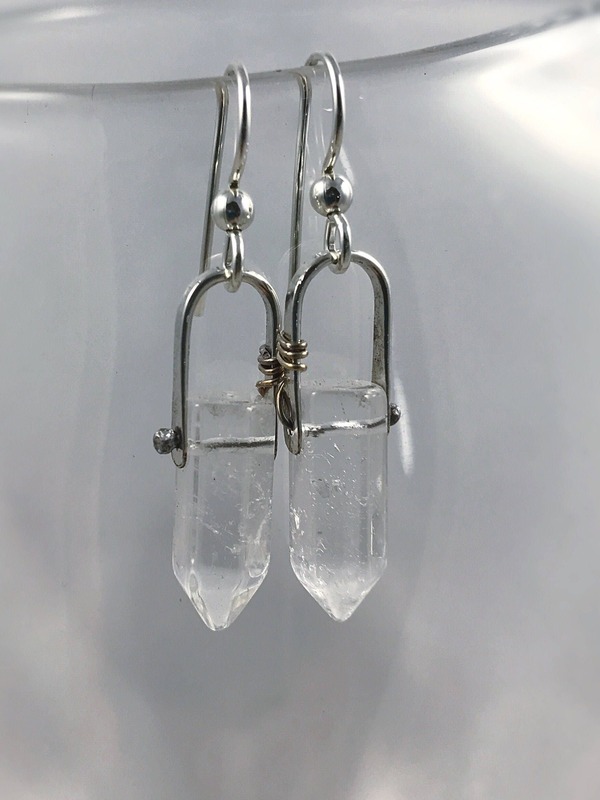 -Solid hammered sterling silver arch harnesses create a beautiful setting for the quartz. 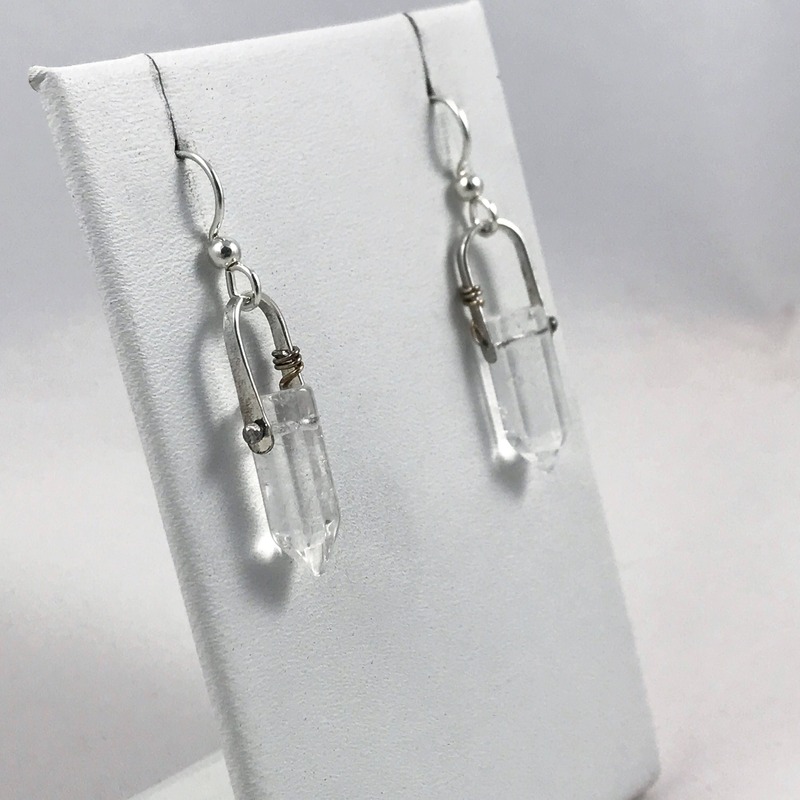 -Torch fired sterling silver rivets feature a ball on one end and twist around the harness on the other end, holding the quartz points securely in place. -Rivets are left darkened from torch firing to add contrast and visual interest. -Solid sterling silver earring hooks.